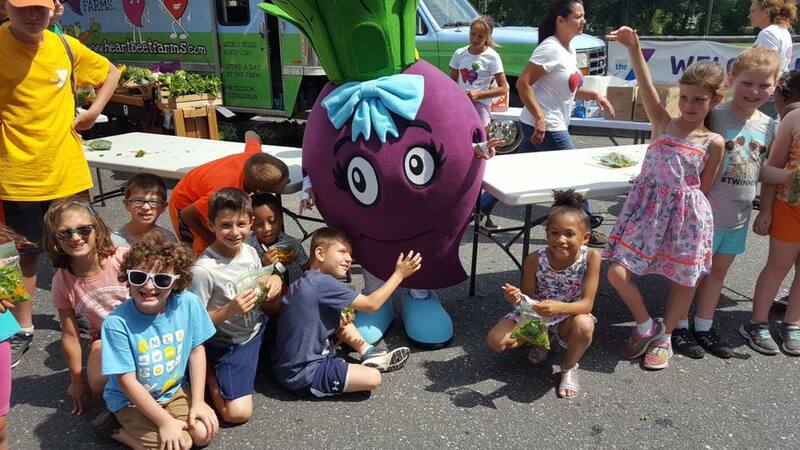 The HeartBeet Farms Mobile Farm Stand visited every Long Island YMCA during the summer of 2017 to help connect families to real food! 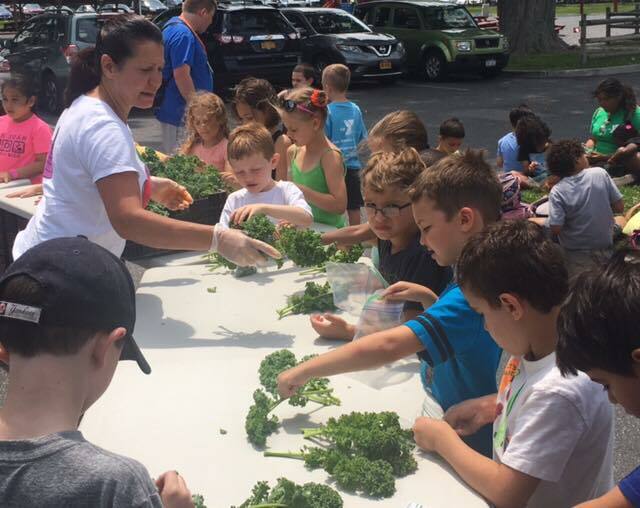 Every Tuesday, beginning July 11, we visited one Long Island YMCA location from 10AM-2PM, and met with YMCA campers to teach them about the veggies and fruits we grow. They not only learned about what each vegetable is, but they also learned about how it helps our bodies! Campers also had an opportunity to taste-test some of the veggies. 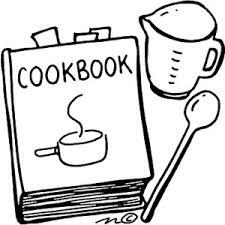 In addition, they prepared a kale salad recipe in a bag! Each camper prepared their own kale salad and had the opportunity to taste his or her creation! Every Saturday, beginning July 15, the HeartBeet Farms Mobile Farm Stand parked at one Long Island YMCA loc ation from 10AM-1PM. This gave YMCA clients a one-stop healthy shopping experience right outside their YMCA and an opportunity to purchase organically grown produce! YMCA members with valid YMCA membership cards, received 10% off their purchase of $20 or more in produce! And, most importantly – our mascots Heart & Beet greeted the kids & families! Locally-Grown Produce and Nutrition Education Comes to Camp – “As part of its “Connecting Families to Real Food Program”, the YMCA of Long Island has been partnering with HeartBeet Farms to offer a program designed to teach children and families about nutrition and organically-grown produce across Long Island. 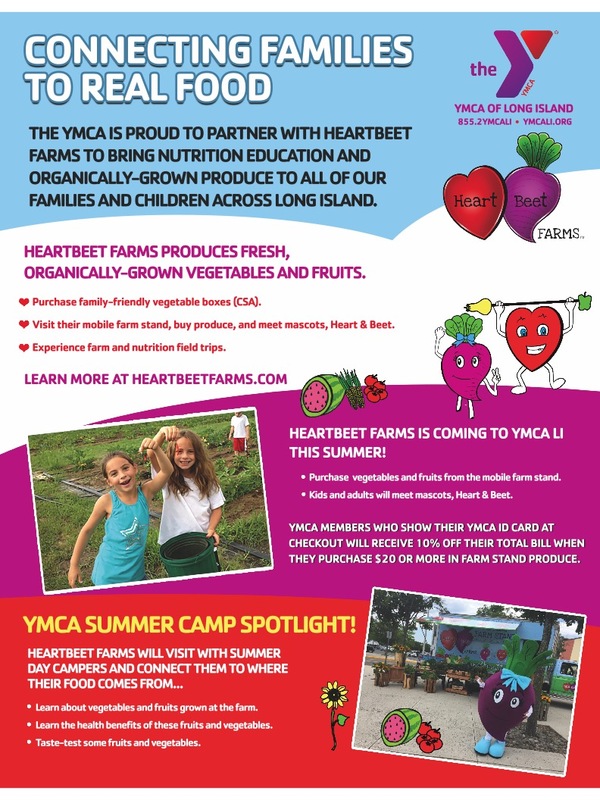 HeartBeet Farms has been visiting YMCA locations across Nassau and Suffolk to connect young campers to where their food comes from. 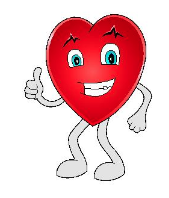 Summer Day Campers will also learn about the health benefits of produce grown by HeartBeet Farms. In addition, thanks to a partnership with the United Way of Long Island and Nature’s Bounty Foundation‘s Healthy Kids Healthy Families Initiative, aimed at improving the health and well-being of culturally-diverse children, campers have the opportunity to taste test multiple items in addition to learning how to make a kale and carrot salad.” 2017 YMCA Summer Day Camp Edition, President’s Newsletter, Anne N. Brigis, President & CEO, YMCA of Long Island.